In 1976, based on the Osh evening faculty of the Frunze Polytechnic Institute, specialty 03.03- “Power supply of industrial enterprises, cities and agriculture” was opened in the first in the south of Kyrgyzstan in the evening form of training. 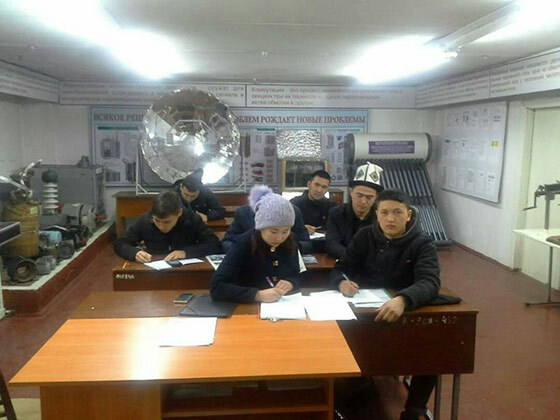 Students – evening students, who completed the third year, continued their studies at the Frunze Polytechnic Institute in Frunze (Bishkek) and in 1994, the first graduates of power engineers were trained in the evening form of training in Osh. In 1991 the graduating department “Electrification and automation of agriculture” was created and on its basis the specialty “Electrification and automation of agriculture” was opened on full-time and part-time forms of education. 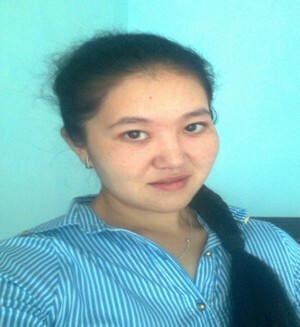 Heads of the department were: Umetalieva A. 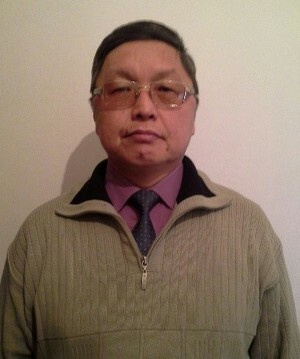 – cand.tech.sciences., docent from 1991 to 1993, Teshebaev A.T. – cand.tech.sciences, docent from 1993 to 2000. In the formation of the department, the production workers made a great contribution. In 1996, the specialty “Power supply” was opened / by industry /, and in 1998 – “Electric power systems and networks”. In 2000, the Faculty of “Energy and New Energy Technologies” was established in the structure of three graduating and two inter-faculty departments and in 2007 was renamed into the Energy Department. 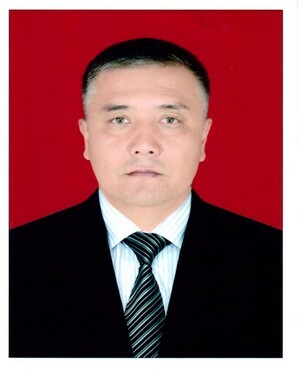 Dean of the new faculty was appointed candidate of technical sciences, Professor TeshebaevAbdykapar. Currently, Dean of the Faculty is candidate of technical sciences, Professor TokoevMamatomirPirmatovich. The main task of the faculty is the preparation of highly qualified bachelors and masters. At the faculty there are 2 professors, 12 Ph.D.-associate professors, 11 senior lecturers, 4 teachers and 9 auxiliary teaching staff. They increase their experience in improving and improving the quality of training specialists. The Energy Department currently cooperates with electric power enterprises and universities of the Republic and beyond. The faculty is annually engaged in research work on Ganis and on the international project TEMPUS-GEM on the topical issues of the electric power industry. At the faculty in three departments, there are more than 20 equipped educational laboratories, modern computer classes, a training ground and lecture audiences. All laboratories are equipped with modern operating equipment. There are student circles “Electric gas welder” and “Electrician for repair of electrical equipment” at the end of which a certificate of completion of the course and certificates of the OshTUon obtaining a working specialty are issued. Direction 640100 – “Heat power engineering and heat engineering”. Profile: “Electrical equipment and electrotechnology”. Scientific degree: candidate of technical sciences, professor of Oshtu. Scientific degree: candidate of technical sciences, docent . 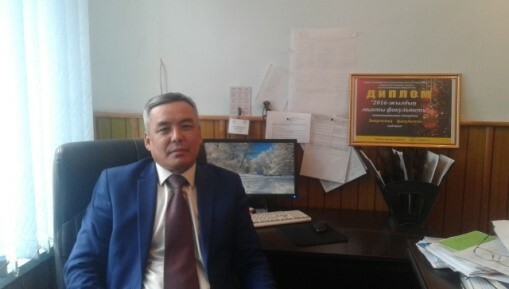 Department of “Electric power” – chairperson is Professor OshTUTeshebaev A.T.
Department of “Electrosupply” – chairperon is candidate of technical sciences, docent Abdyldaev R.N. 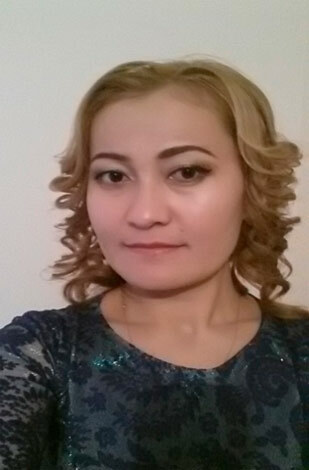 Department of “Electrical equipment and heat power engineering” chairperson is candidate of technical sciences, associate professor Karazhanova R.T.
Turduev Ilyaz Ermekovich, graduate of the faculty, candidate of technical sciences, docent, deputy of the Osh city Kenesh. In 1976, the department of general scientific disciplines opened the specialty “Electricity supply of industrial enterprises, cities and agriculture” (ESIECA). In 1991 the department “Electrification and automation of agriculture” (EAA) was established. 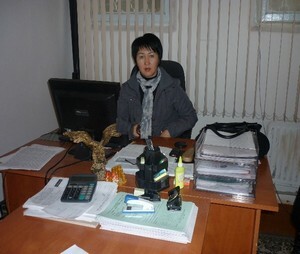 The head of the department was appointed candidate of technical sciences, docent Umetalieva A.U. and in the same year the department “EAA” opened a new specialty “EAA” of day and part time forms of education. 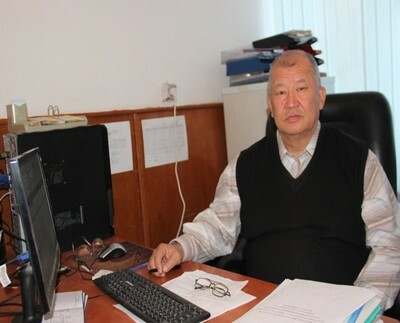 In 1993, the head of the department was appointed candidate of technical sciences, docent Teshebaev A.T, who continued to improve and expand the activities of the department “EAA” for scientific research. In 1998, the department “EAA” was transformed into the department “Power Engineering”. The department for two years (1998, 1999) by the end of the year won the 1st place in the nomination “The best laboratory of OshTU. o “TOE and OE” (Theoretical Bases of Electrical Engineering and General Electrical Engineering). In 2001, the first graduates of engineers in the specialty “Electric Power Systems and Networks” completed their full time and part time of education. 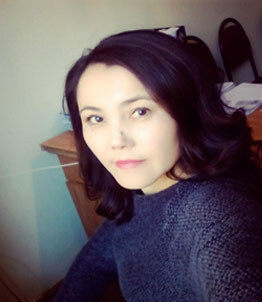 Since 2009, the department “PE” was headed by candidate of technical sciences, docent Kukchaev M.M, and since April 2014 the department is headed by Professor Teshebaev A.T. The department trains 136 students, of which 77 on the full-time and 59 students on distance education. Also, 17 master’s students are trained at the department (10 in the first year, 7 in the second year). profile: – “Electric power systems and networks”. The Department of Power Engineering conducts a scientific topic: “Intelektualization of secondary circuits of EPS”. The scientific supervisor of the topic, candidate of technical sciences , Professor Teshebaev A. The executors are docents of the department: Murzakulov N.A, Elchieva M.S, Karybekova B.K, Zhunusaliev A.S, Akmatov B.Zh. Kuibyshev Polytechnic Institute. VV Kuibysheva (higher education), Faculty of Automation and Measurement Engineering, specialty: “Information and measuring technology”.Engineer-electrician, diploma, city of Kuibyshev, 1971-1977. 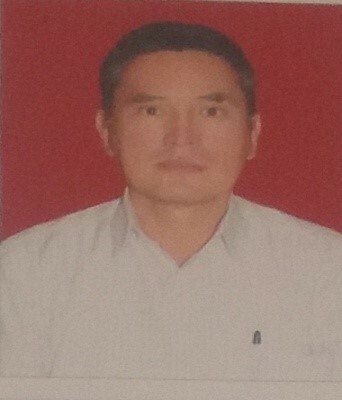 Head of the department “PE” 2014 – present. 05.14.02-Electric stations and electric power systems 2017- present. 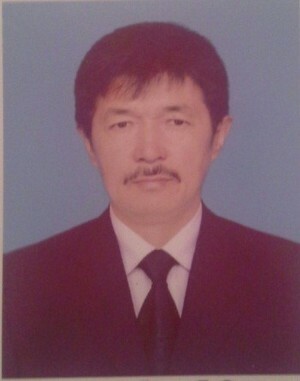 Dean of the Energy faculty of Oshtu, Osh, Kyrgyzstan, 2008-2014-yy. 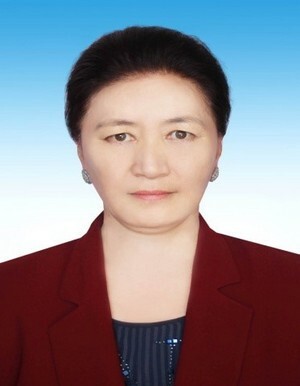 Vice-rector for Economics and Investment of OshTU, Osh, Kyrgyzstan, 2005-2008. 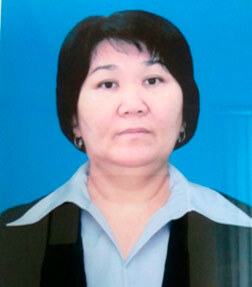 Dean of the Faculty of “Energy and New Energy Technologies” Oshtu, Osh, Kyrgyzstan, 2000-2005. 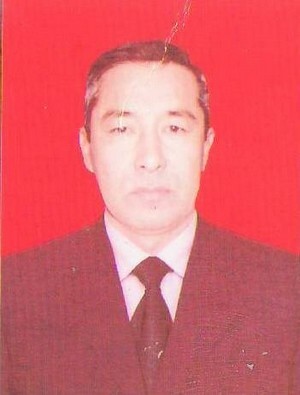 Head of the Department “PE”, Osh, Kyrgyzstan, 1994-2000-yy. 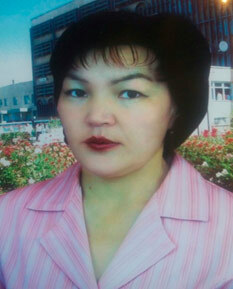 Senior teacher of the Osh Pedagogical Institute, Osh, Kyrgyzstan, 1989-1993. Teacher at the Osh Pedagogical Institute, Osh, Kyrgyzstan, 1986-1989. 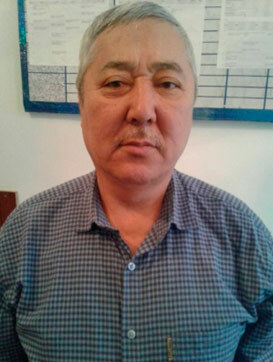 Head of the UVC of the Osh Pedagogical Institute, Osh, Kyrgyzstan, 1980-1986. Teacher of the Osh evening faculty of the Frunze Polytechnic Institute, Osh, Kyrgyzstan 1979-1980. Engineer, M.Sc. Frunze Polytechnic Institute, Frunze, Kyrgyzstan, 1977-1979yy. Teshebaev A. 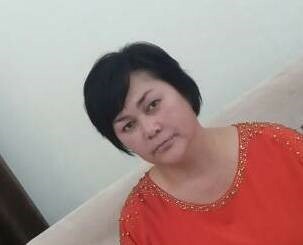 Analysis of the types of compensating devices and their choice of their capacity, Southern Branch of the National Academy of Sciences of the Kyrgyz Republic, Journal “Vestnik” No. 1, Osh, 2016. 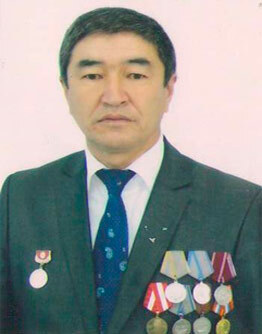 Teshebaev A. Analysis of reactive power compensation. Southern Branch of the National Academy of Sciences of the Kyrgyz Republic, Journal “Vestnik” No. 1, Osh, 2016. Teshebaev A. Development of a system for automated design of secondary circuits of electrical substations. “Izvestiya” , OshTU №1 Osh, 2017y. Teshebaev A. About systems of computer-aided design of secondary circuits of electric power systems. “Izvestiya” ,Oshtu №1 Osh, 2017. 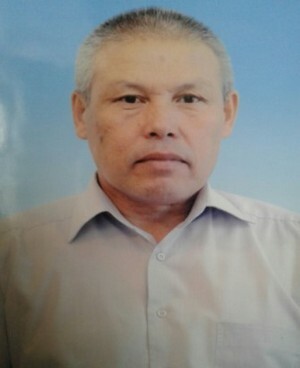 Teshebaev A. Hybrid functional expanders of the CPI. Theses of reports of the scientific and technical conference “Actual problems of the development of radio engineering, electronics and communications”. St. Petersburg, 1992. 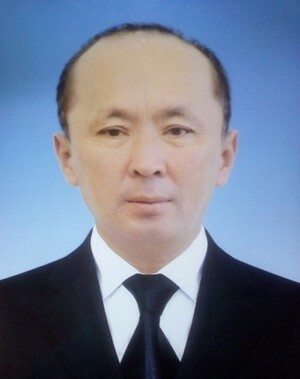 Teshebaev A. Instrumental system for constructing automated learning systems. Abstracts of the scientific and technical conference “Actual problems of development of radio engineering, electronics and communications”. St. Petersburg, 1992. Teshebaev A. Features of atoms of chemical elements during ionization by electrophysical ionization (EFI) method. HVUZ “Pereyaslav-Khmelnytsky State Pedagogical University named after Grigory Skovoroda”, ХXI International scientific conference “Actual scientific research in the modern world”, №1 (21), Part 1. – Pereyaslav-Khmelnitsky: 28.01.2017. Teshebaev A. Production during a time of heat energy of a given value in the device of electrophysical ionization. Journal “Vestnick of Scientific Conferences”, Tambov. 2017. No. 2-1 (18). Science and Education in the 21st Century: Based on the Materials of the International Scientific and Practical Conference on February 28, 2017 Part 1. Course of lectures on the discipline “Theoretical Foundations of Electrical Engineering” part 1,2; Printing office OshTU, 2005. Course of lectures on the discipline “Theoretical Foundations of Electrical Engineering” part 3, Printing office OshTU, 2006. Methodical instructions for performing laboratory work on the discipline “IIT and Electronics”, Printing office OshTU, 2011. Course of lectures on discipline “Installation, adjustment and testing of elements of electric power systems”, Printing office OshTU, 2016y. Textbook on “Economics of production” for bachelors in the field of “Power and Electrical Engineering”, Printing office OshTU, 2017y. Theoretical bases of electrical engineering. Long-distance power and ultra-high voltage. 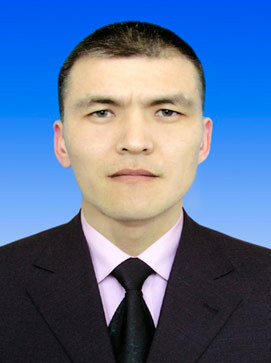 Akmatov Baatar Zhoreevich, candidate of technical sciences, docent. Electromagnetic capacity in the electric power industry. Murzakulov Nurkul Abdilazizovich – candidate of technical sciences, docent. Zhunusaliev Akylbek Saidazovich – master, docent of Oshtu. The electrical part of the station and the substation. Karybekova Bermet Kenzhekulovna – master, docent of OshTU. Mobile phone: (0772) 10 02 03. In 1963 in Osh city the Osh evening faculty was opened at the Frunze Polytechnic Institute, where the general technical training of students from 1 to 3 courses was held. In 1976, the department of general scientific disciplines opened the specialty “Electricity supply of industrial enterprises, cities and agriculture” (ESIECA). Since 1988, evening students have been trained in the full training program for electrical engineers. 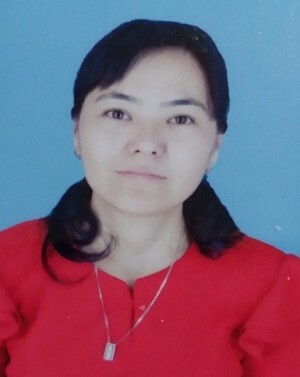 In 1991, the department “Electrification and automation of agriculture” was established, the head of the department was appointed candidate of technical sciences, docent Umetalieva A.U. This year, the department “EAA” has opened a new specialty “EAA” full-time and part-time forms of education. In 1991, the Osh evening faculty was renamed the Osh Higher Technical College, which trained specialists in the full program for all forms of education. The department expanded the range of specialties, in 1995 the specialty “Electro supply” was opened / in the branches / day, evening and part time forms of study. In 1996, the department “EAA” was renamed the department “E&A”(Electrification and automation). In 1998, the Department of “E&A” was transformed into the “Power Engineering” department. In 2000, the first graduates of engineers in the specialty “Electro Supply” / in the branches / day-time form of education were held. In connection with the opening of new specialties and the increase in the number of students in 2003, the department of “Power Engineering” was divided into departments: “Power Engineering“ and “Electro Supply”. From 2003-2014, the head of the department “Electro supply” candidate of technical sciences, docent Tokoyev Mamatomir Pirmatovich. Since September 2014, the Department of Electrosupply is headed by candidate of technical sciences, docent Abdyldaev Rysbek Nurmamatovich. The department “Electro supply” is a specialized graduate department and prepares bachelors and masters in the direction 640200 “Electric power engineering and electrical engineering” along the “Electro supply” profile. The first graduate of the bachelors of the day-long form of training in the “Electro Supply” profile was in 2016. In 2016, a license for the preparation of bachelors 700600 “Standardization, certification and metrology” was obtained. At the present time there are 4 candidate of technical sciences, docents, 2 docents of OshTU, 3 senior lecturers and 1 teacher. The teaching and support staff consists of: 1 engineer and 1 laboratory assistant. The first graduate of the bachelors of the day-long form of training in the “Electro Supply” profile was in 2016. In 2016, a license was obtained for the preparation of bachelors 700600 “Standardization, certification and metrology” profile: standardization and certification of products and productions. Educational disciplines in 2 specialties are conducted by full time and by part time. The department has 32 disciplines, which are taught by teachers. Lecture and practical training sessions are taught by experienced teachers at the department. ► The training ground of the power faculty of the OshTU University. The educational-laboratory base is satisfied, in 17 disciplines laboratory work is conducted classes. Auditorium 3/308 of the lecture hall is equipped with a slide projector for the interactive method of teaching the lesson. -Research and optimization of operating modes in power supply systems. 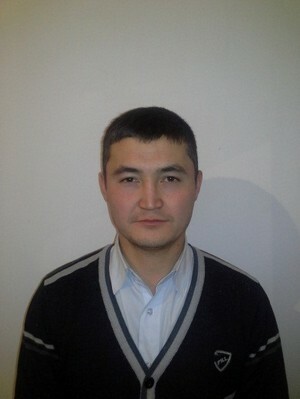 Abdyldaev Rysbek Nurmamatovich – candidate of technical sciences, docent. Further training: Kyrgyz Technical University. Institute of Automation and Information Technologies of the National Academy of Sciences of the Kyrgyz Republic. Diploma of candidate of technical sciences. Bishkek, Kyrgyz Republic 28.07.2012 г. Certificate on the educational course “Ensuring the sustainability of youth centers” Osh city, KR May, 2015. Certificate for the course “Maintenance and repair electrician electrical equipment with voltage up to 1000V “Osh, KR 5.10-12.10.2015. State fund of intellectual property under the civil service of intellectual property and innovations under the Government of the Kyrgyz Republic, Kyrgyzpatent. Certificate of Innovation Projects Competition “Fair of Ideas”, Bishkek, 4.11-6.11.2015. Certificate of training “Conducting a self-assessment of the university and writing a self-assessment report” Osh, KR 25.01-26.01.2017. Agency for the Accreditation of Educational Programs and Organizations (AAEPO). Certificate seminar-training “Conducting independent accreditation of programs and organizations of professional education”. Osh, the Kyrgyz Republic on 26.05-27.05.2017. 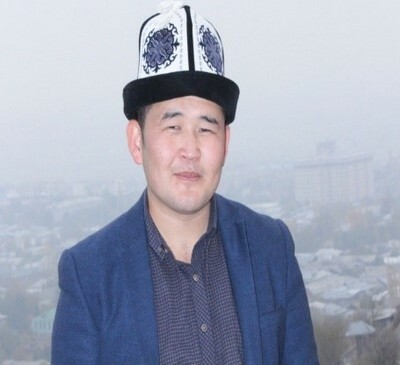 Abdyldaev R.N, Kozubaev K.B. Construction of control systems for modes of electrical networks. Izvestiya OshTU, 2014. Abdyldaev R.N, Abdullaeva A.T. Organization of situational management of modes of electrical networks. Izvestiya OshTU, 2014. Abdyldaev R.N. Management of fluctuations in electric power systems. “Electric Stations” – Moscow, 2017. 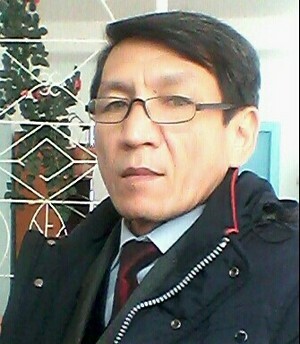 Abdyldaev R.N, Sharshenaliev Zh. The method of dynamic programming in controlling oscillations in electric power systems. Vestnik of the Kazakh-British Technical University-Almaty, No. 1 (12), 2010. Abdyldaev R.N, Apishev J.A, Tokoev M.P. Distribution network automation system. Materials of the international conference, Almaty, 2000. Abdyldaev R.N. Transient processes in power supply systems, methodical instructions for solving problems are intended for bachelor students of the “Electric Power and Electrical Engineering” field of the “Electricity Supply” profile. Osh: OshTU, 2015. Abdyldaev R.N., Turduev I., Zhusupov I. Methodical instruction on the performance of the course work on the discipline “Transient processes in power supply systems”. Osh: OshTU, 2012. Abdyldaev R.N, Kadyrov A.S. Methodical instructions to practical exercises in the discipline “Accounting of energy resources.” Osh: OshTU, 2007. Abdyldaev R.N, Kadyrov A.S, Tokoev M.P. Methodical instructions for the implementation of the course design for the discipline “Electro supply to agriculture.” Osh: OshTU, 2006. Agency “Ednet” Certificate on the course “Conducting a self-assessment of the university and writing a self-assessment report” Osh city, KR, January 2017. OKZh and KMCU Certificate at the rate “AutoCAD program”, Osh city, KR, February, 2015. Electric lighting; Reliability of power supply. “Operation of power supply systems”. “Relay protection and automation in ESS”. 2.Industrial Electronics “TBE Part 2″. Since May 2008, the Department of Electrical Stations and Electrification of the Power Department of the Osh Technological University named after M.Adyshev in Osh was transformed into the Department of Electrification and Electromechanics and the Department of Electrification and Electromechanics, and in 2015 renamed the Department of “Power and Electrotechnology” the head of the department was elected candidate of technical sciences Karazhanova R.T, and in 2016 the department was again renamed the department “Electrical equipment and heat power engineering” and the head of the department was appointed candidate of technical sciences, docent Karazhanova R.T.
She continues to work on the development of research and teaching and educational work, as well as to strengthen and expand the material and technical base. Specialty “EAA” is issued, on full-time and part-time forms of training beginning, since 1991. Under the supervision of the head of the department R.T.Karazhanova and the forces of teachers and staff of the laboratory department, 202, 015, 016, 103, 116a, 319, 3/014 were newly decorated and equipped with modern equipment. 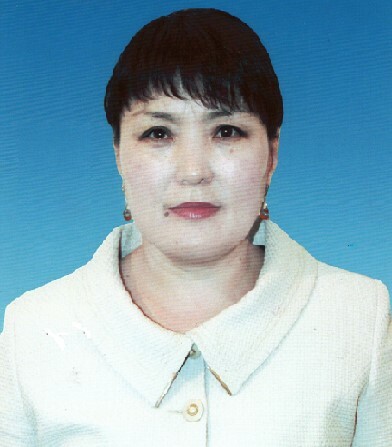 The chair on results of 2008 has received the certificate of honor on a nomination “The best department of OshTU in 2008”, the senior teacher Karazhanova R.T – “The best post-graduate student of the year”, the senior teacher Childebaev B.S – “The best employee of the year”. 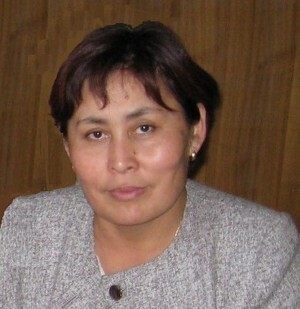 The Chair on the results of 2010 received a diploma in the nomination “The best department of OshTU in 2010” and a cash prize, the senior teacher Karazhanova R.T – “The best senior teacher of the year”, audience 3/015 – “The best laboratory of the year”, candidate of technical sciences, docent Aldasheva N.T. “The best assistant professor of 2015”. At the moment there are 3 candidate of technical sciences, docent, 2 docents of OshTU, 1 senior lecturer, 1 teacher and 2 employees of training and support staff. 3/016 Laboratory for discipline “Heat engineering and heat power plants”. To strengthen the theoretical knowledge of students in practice, contracts have been created with the following enterprises: Osh HEC( heat electro centre), Osh EHVEN (Enterprise of high-voltage electrical networks ), Osh Electro, Jalal-Abad EHVEN , and DEN (district electric networks ) in the southern regions of the republic. Karazhanova Raisa Tynybekovna – head of the department, candidate of technical sciences, docent. Teaching disciplines : ES agriculture. Thermal and nuclear power plants. Electrical equipment and electric drive; Automation.